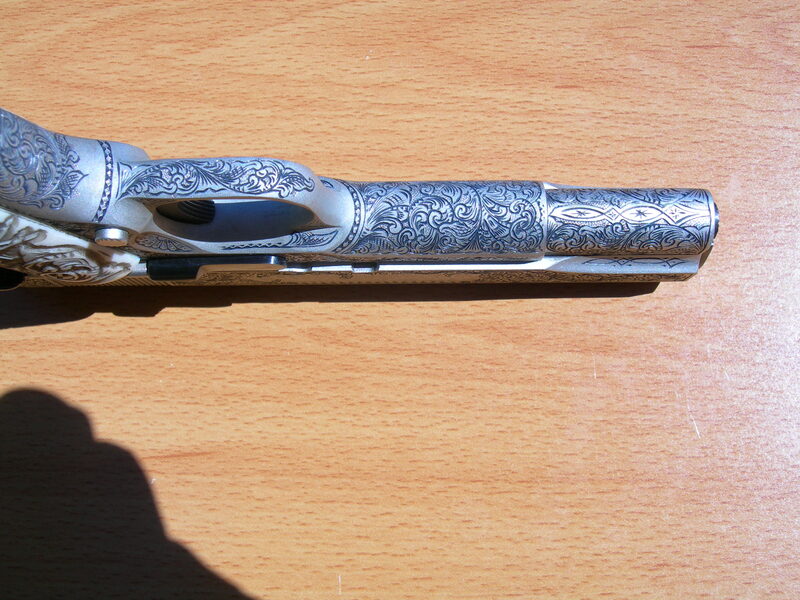 SOLD – Series 70 Colt – SALE! Fully engraved and finished in electroless nickel and blue. 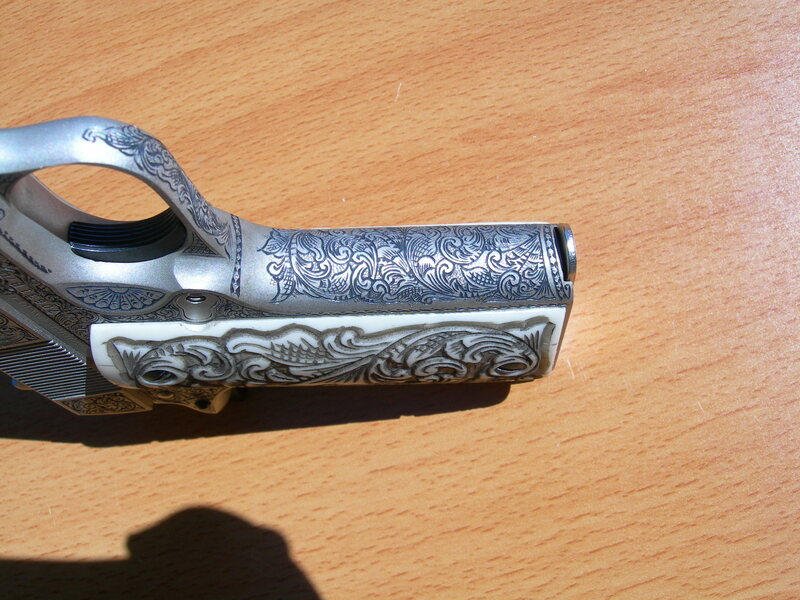 Excellent condition with carved ivorex grips and original smooth Colt walnut grips with rampant colt medallion. 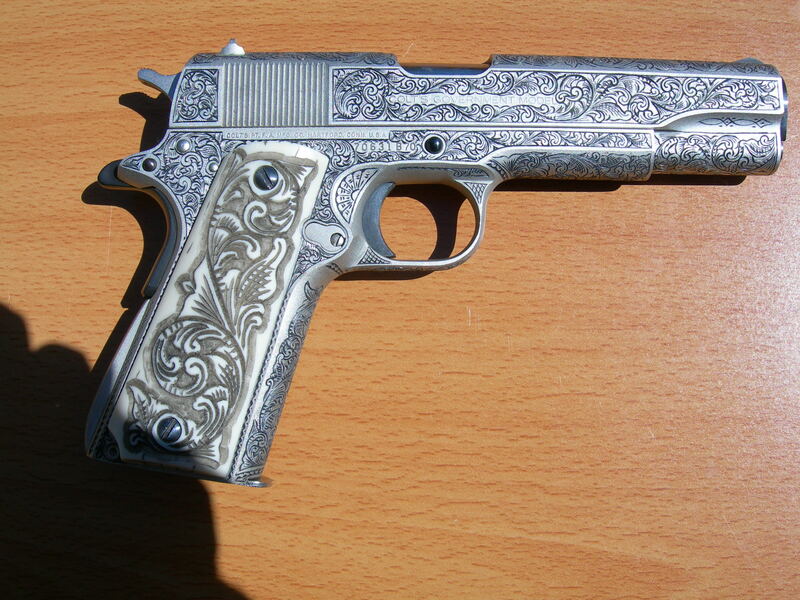 Fully engraved Series 70 Colt for sale. 45 ACP, excellent condition. 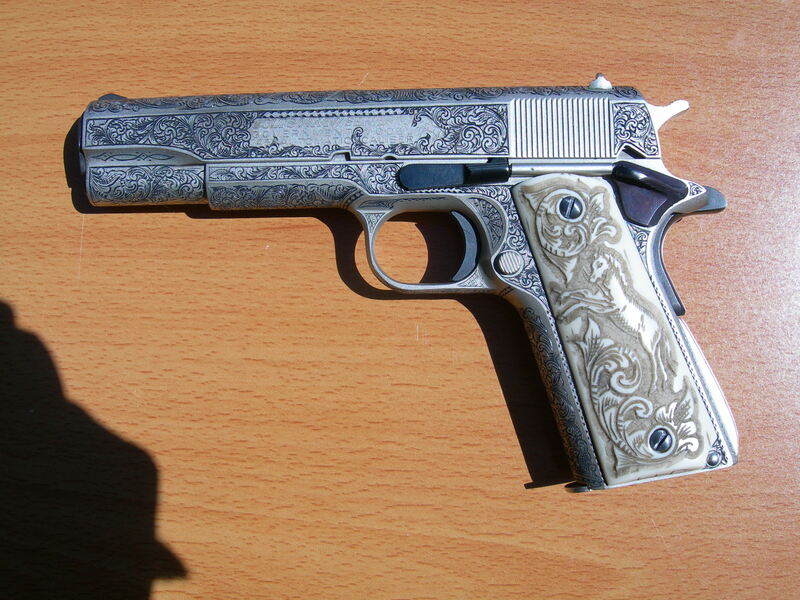 Colt Series 70 1911 for sale. Engraved in American Scroll. Frame close up, engraved in American Scroll. For sale. Top of Slide, 1911 Colt. 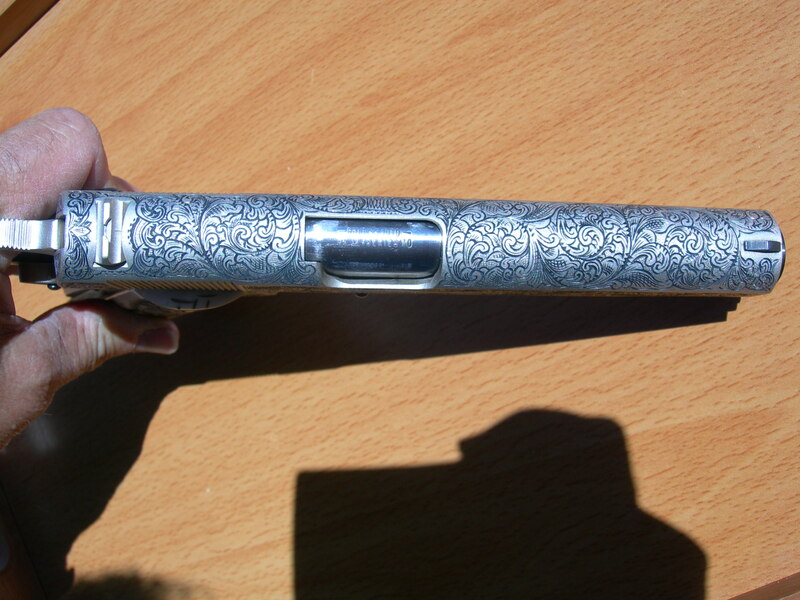 Fully engraved in American Scroll.